Then-Padiham FC goalkeeper TonyAghayere during his time as a Burnley FC youth team player. A fellow North West non-league football club has shown solidarity towards Padiham FC's decision to leave the field of play after one of their players was allegedly racially abused, offering to pay £50 towards the fine £165 they incurred as a result of abandoning the game. Expressing their dissatisfaction with the fact that Padiham FC were fined more for leaving the pitch and technically abandoning the fixture than their opponents Congleton Town were for the alleged racial abuse which took place in a North West Counties Football League match last October, Runcorn Linnets have tweeted their support for the Storks. "We are somewhat disappointed that @Padiham_FC have been fined by @nwcfl for taking a stand against racism," the Northern Premier League Premier Division club said on Twitter earlier this morning. "We would like to offer £50 towards the fine. #sayNoToRacism"
Padiham joint-manager Liam Smith led his team off the pitch after around an hour of the away fixture against Congleton last year when he was informed that the team's goalkeeper, former Burnley FC youth-player Tony Aghayere, was being subjected to alleged racist abuse. 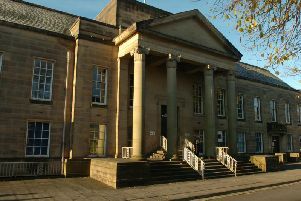 In a subsequent hearing, Padiham were fined £5 more than the £160 fine Congleton received. The matter has been brought back to the public's attention by Padiham chairman Shaun Astin in the wake of England internationals Raheem Sterling, Danny Rose, and Callum Hudson-Odoi being racially abused in a recent Euro 2020 qualifier against Montenegro in Podgorica and of 19-year-old Juventus striker Moise Kean being subjected to monkey chants in a Serie A match away to Cagliari.